I've had a hankering to colour this Wryn for a bit of a while. With a Tiddly Fab Friday needing a creation, I figured it was time and here she is! Such a cutie! Have fun reorganizing your office! So 'berry, berry' gorgoues!! As you know, I am in love with Wryn anyway, but your colouring really takes her to a new level...!! Can you send Very Understanding Hubby up here please for a while? Though I think it'd take more than 20 mins to empty my crafty spot! She looks gorgeous. My room needs a good clear up too...send him to me after Christine! Oh wow Faye this is one scrumptious card love that image so much the colours look so rich and vibrant, excellent creation. It is really gorgeous. I love the bright colors. Such a gorgeous card Faye, I love the sweet image and stunning colouring. I've done that Faye... cleaned out my craft room twice and will never do it again. I always wonder how I fit everything in there and it takes forever! Your card is fabulous and your colouring is so good. I love this image and those fun mushrooms! I also like how her dress matches the paper.. looks cute! 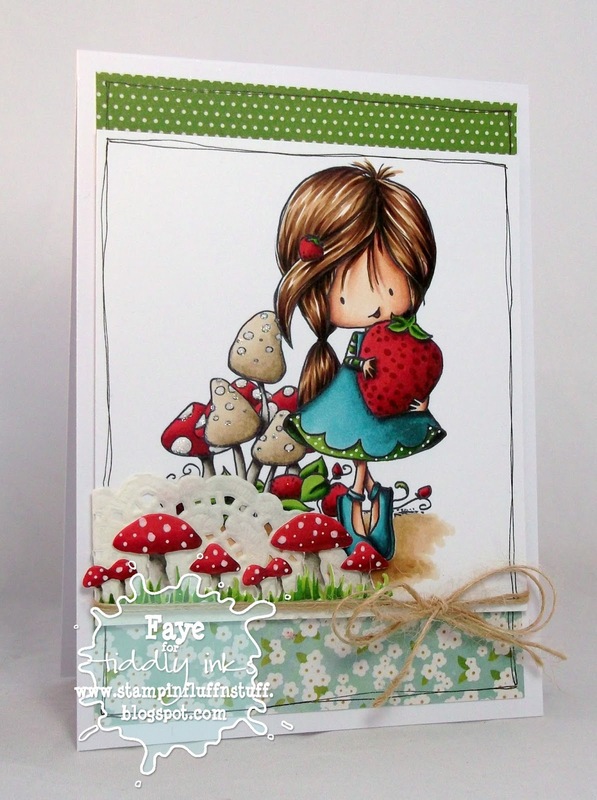 Stunning colouring Faye and I love the mushroom border die..
Once again a wonderful creation Faye!!!! 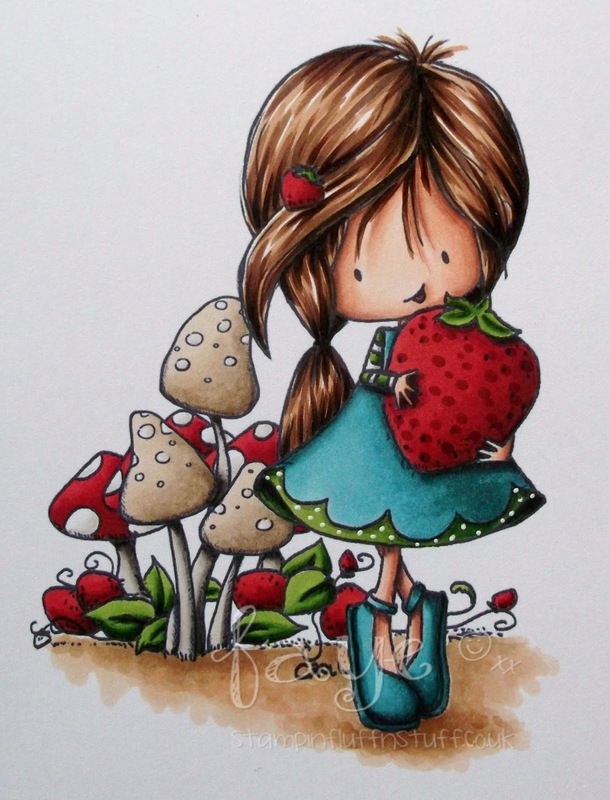 Gorgeous and cute Faye, love the toadstools and your wonderful colouring. The image is so sweet! You have put this together so well! The papers are pretty and compliment your wonderful coloring! Sorry I haven't visited lately, I have been making a new flower bed!